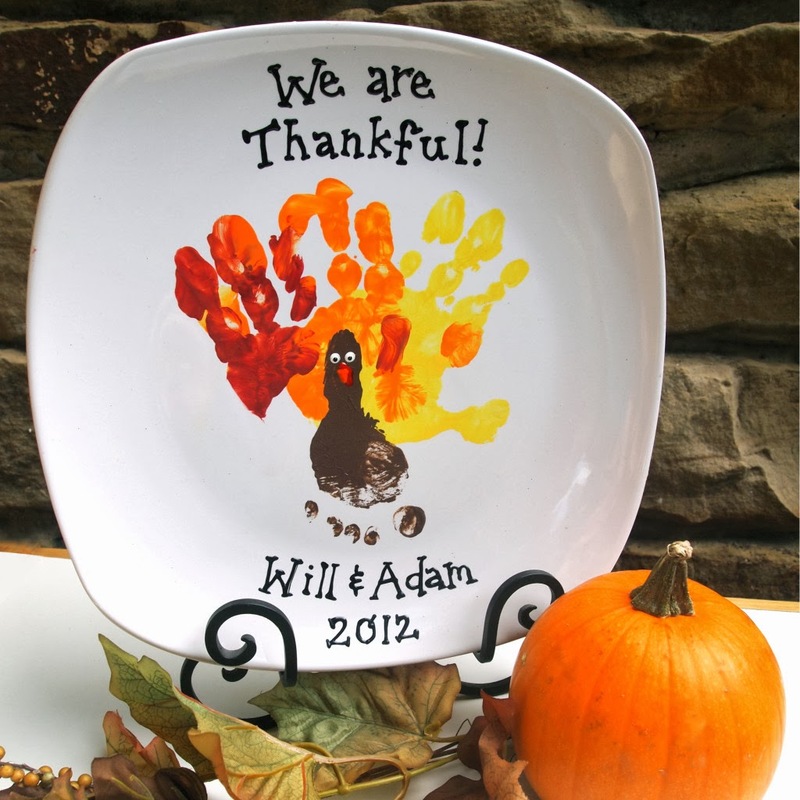 If this is your baby's first Thanksgiving, you may be looking for a way to make it fun and memorable! 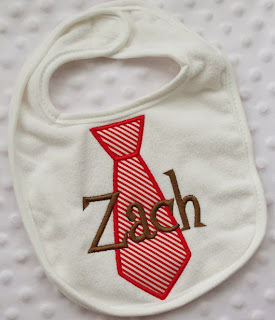 I've scoured Pinterest for some of the cutest ideas! 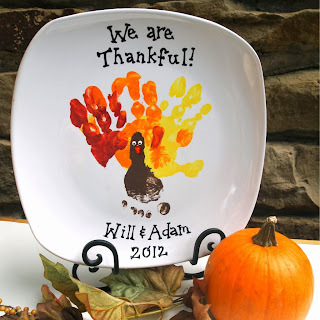 Make a keepsake plate or platter using your little one's hands and footprint! This will be cherished for many years. 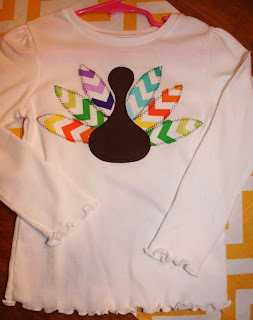 For details, see Cheap Crafty Mama. Do you want your little boy to dress up in a practical way? 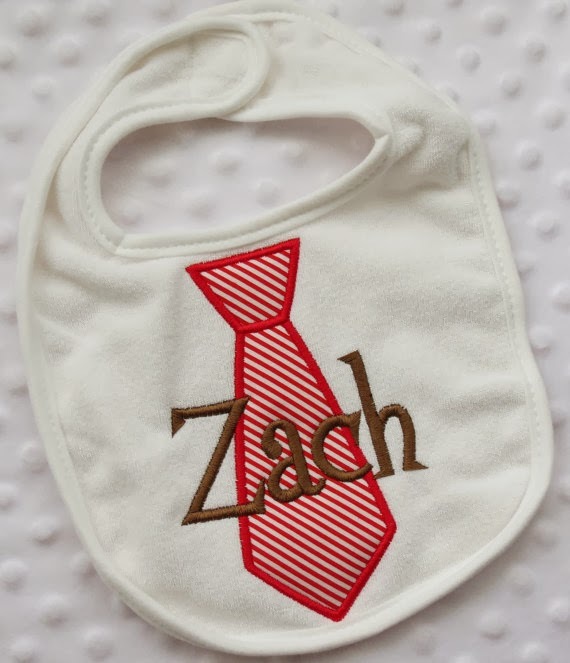 Nothing's cuter than this bib from My Little Hedgehog! Your little girl will be warm and cozy in this adorable chevron turkey tee from hkgmom! The best part is it's made for babies and toddlers. Pair it with a pair of baby legs and a matching cloth diaper! If your little one is old enough and ready for solids, there are some great Thanksgiving baby food recipes from Parents that are easy and fit in with baby led weaning. 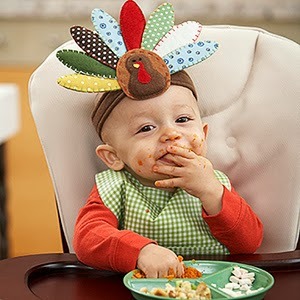 Will this be your baby's first Thanksgiving? How will you be celebrating?